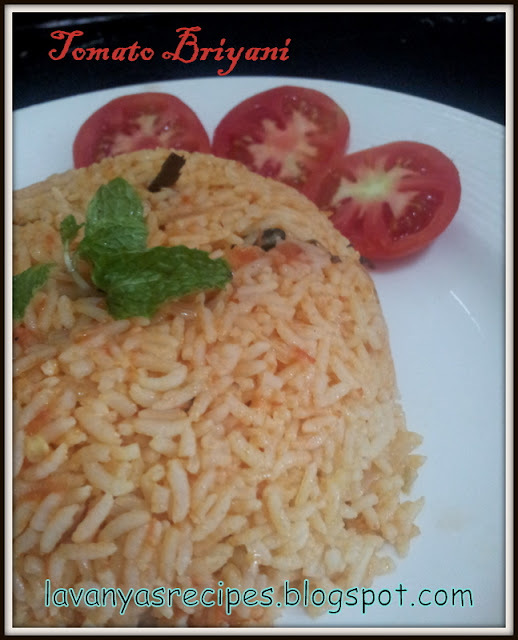 Briyani, the word itself makes people drool...Am I right?? And ofcourse I do belong to that category :) Personally I love mutton and chicken briyani but there are lots of vegetarian briyani's too which is equally yummy and delicious. 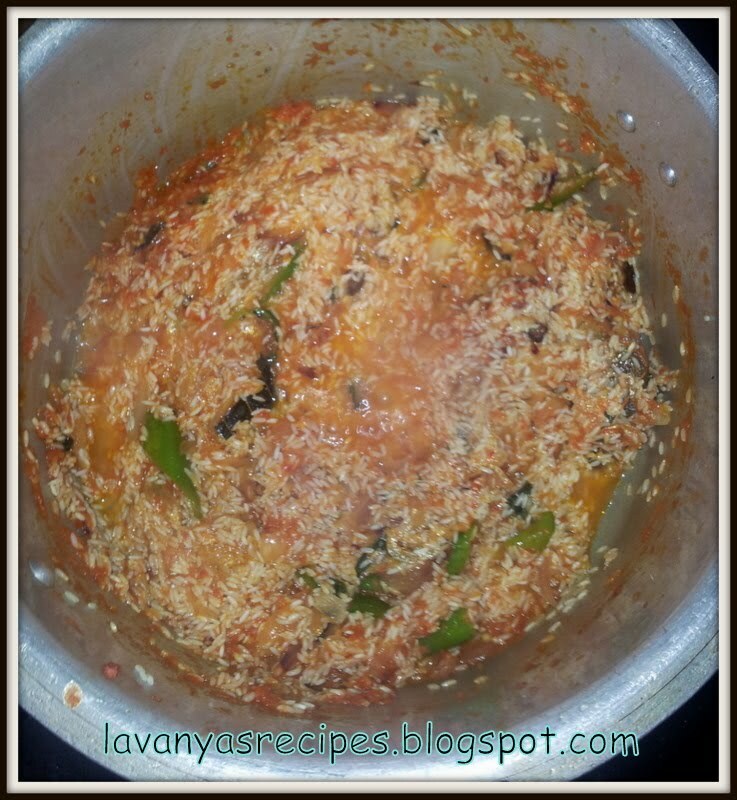 One of my family's fav veg briyani is Tomato briyani. Very easy to prepare and it has a lovely tangy taste with the briyani flavor. Just the addition of simple onion raita and potato chips makes it a heavy meal. Variations can be done by adding veggies like carrot, potato, peas and cauliflower to make it more healthy and delicious. 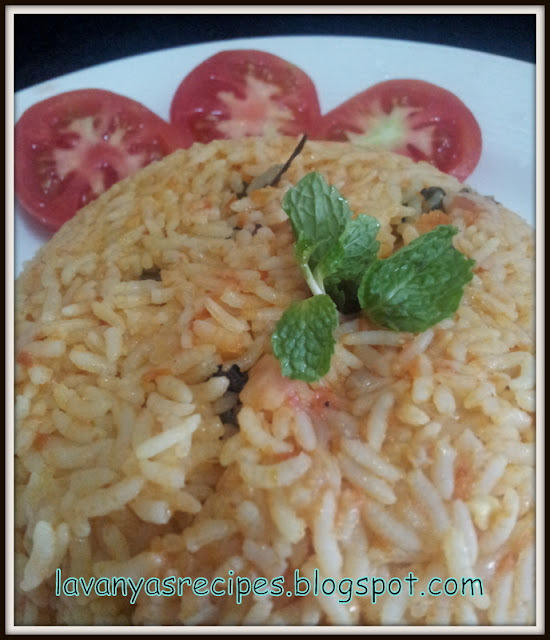 Perfect lunch box variety too..Try this one pot meal and serve this for your family members. 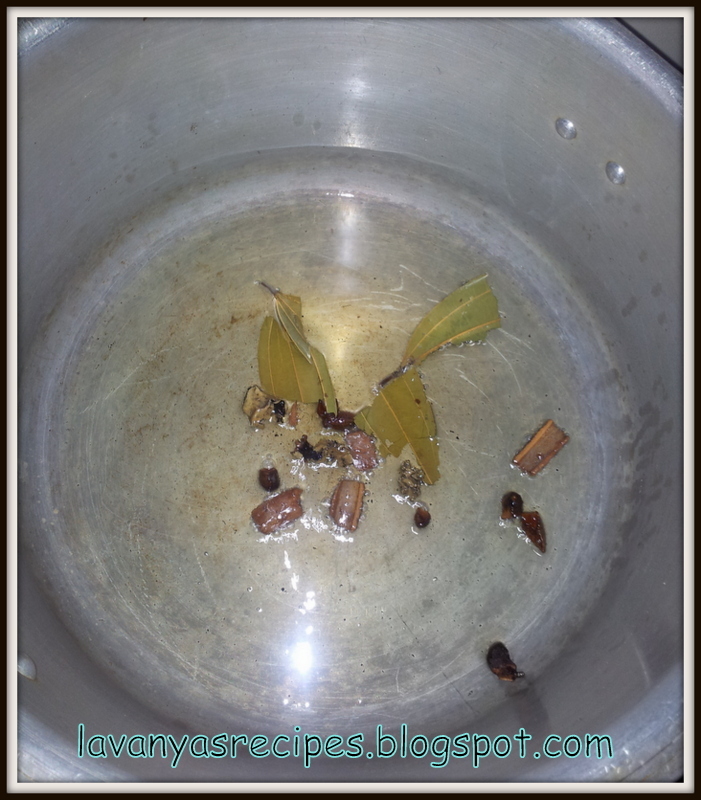 Soak rice for 15 minutes. Heat oil in a pressure cooker and add the masala items(Cinnamon, star anise, cardamom and bay leaf). 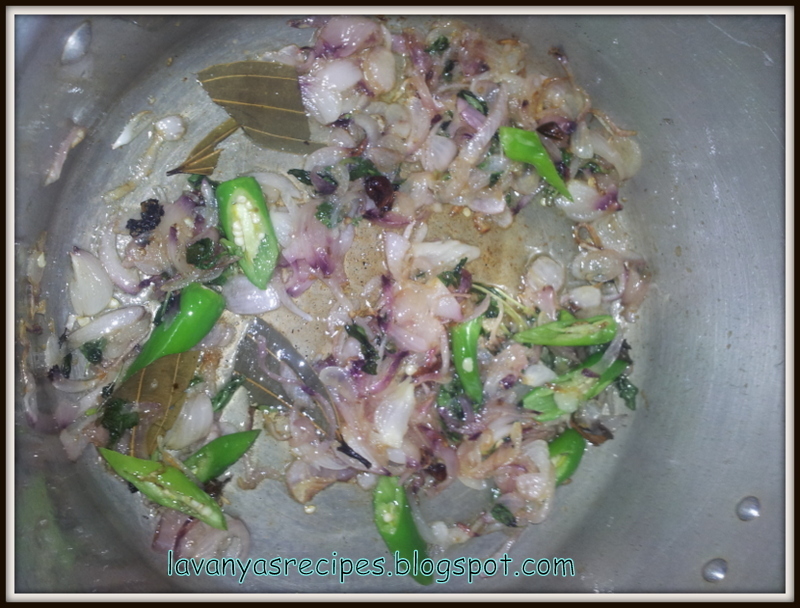 Add the sliced onions and fry them for a minute. Meanwhile, chop the tomatoes and grind to a fine paste. 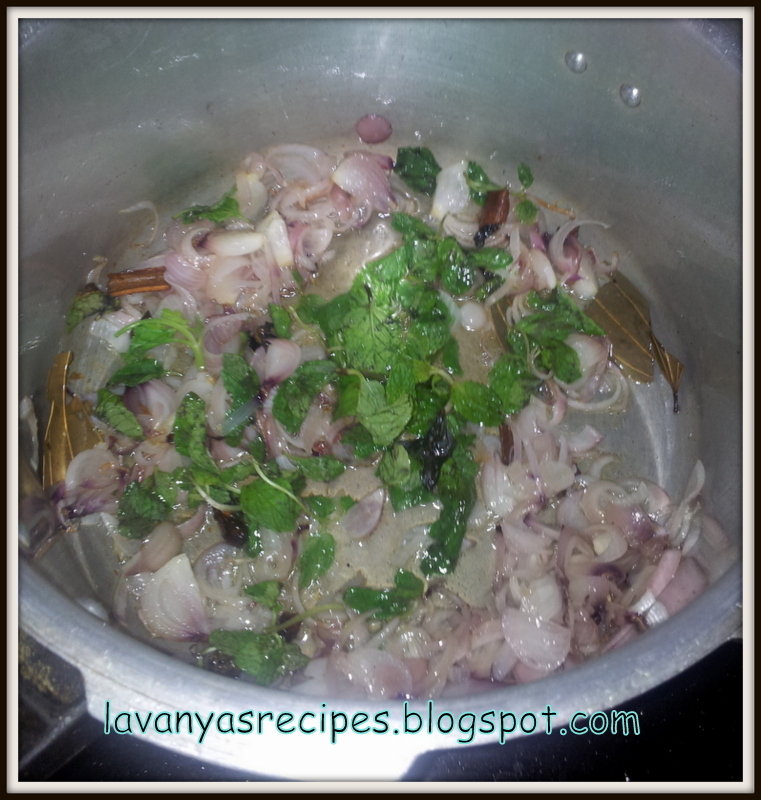 Now add ginger-garlic paste and mint leaves to the fried onions and saute well. Add the chopped chillies and saute again. Now add the tomato paste and mix well. Cook for 2 - 3 minutes and add turmeric powder, chilli powder and salt. 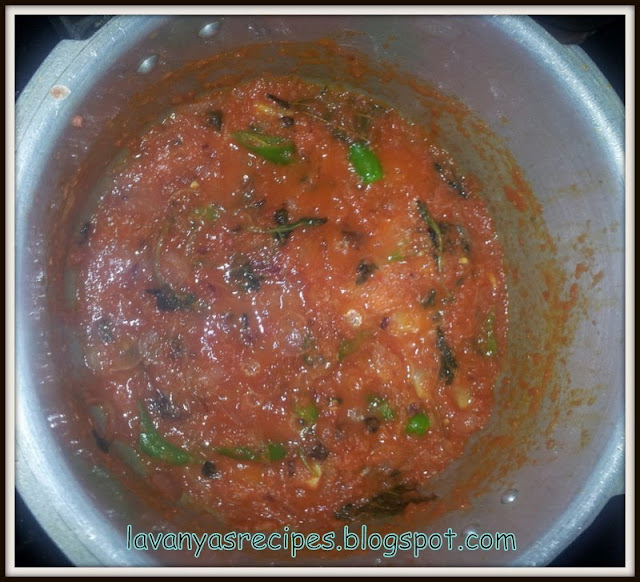 Wash the soaked rice and add it to the tomato mixture. Add water and mix well. Close the lid and cook for 3 - 4 whistles. Wait for the steam to release and open the lid. Garnish with Mint leaves or Coriander leaves and serve hot. Serve with Onion Raita and Potato chips or with Pickle.